Mmm, casseroles. As far as warming and satisfying dishes go, vegan casseroles are right up there with soups and stews, hitting home in the wintertime with a winning combination of heartiness, comfort and – most importantly – deliciousness! I wanted to create a healthy and delicious gluten free casserole and this is the result! Did you grow up eating casseroles? 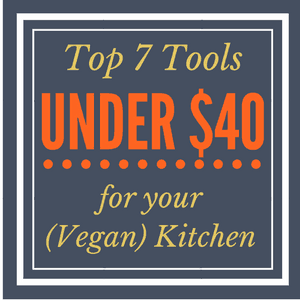 They are a staple in many American homes, everything from tuna noodle casserole to green bean casserole to taco casserole, to similar dishes like chicken pot pie. My mom used to make something called cheeseburger rice that was a family favorite – essentially ground beef, lots of cheese and rice, smothered with ketchup. What was your favorite casserole as a kid? 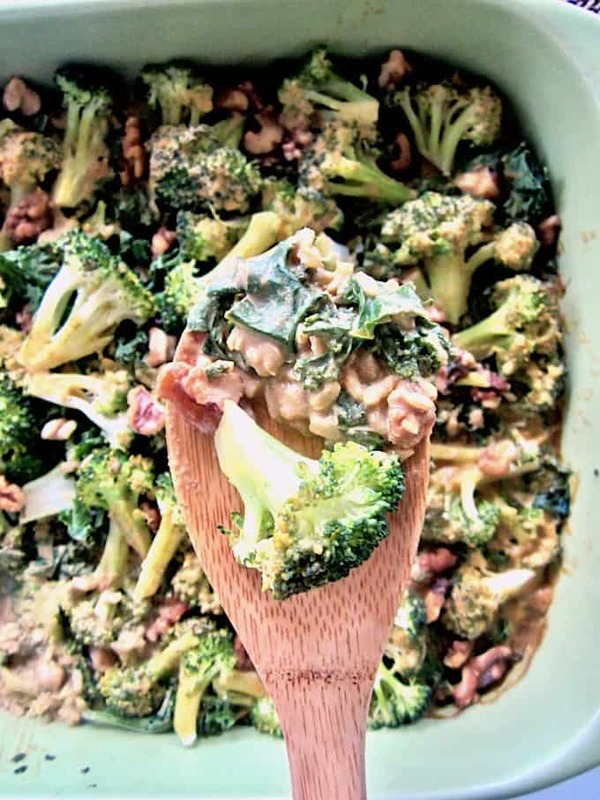 The beauty of today’s Vegan Broccoli, Kale & Rice Casserole recipe is that it has those same qualities of comfort food without the heaviness of typical casseroles, and – as always here on Vegan Chickpea – without the processed junk! Brown rice, veggies, walnuts and hummus, plus some seasoning and you’re good to go. It’s great on its own, or add a veggie burger on the side to complete the meal. 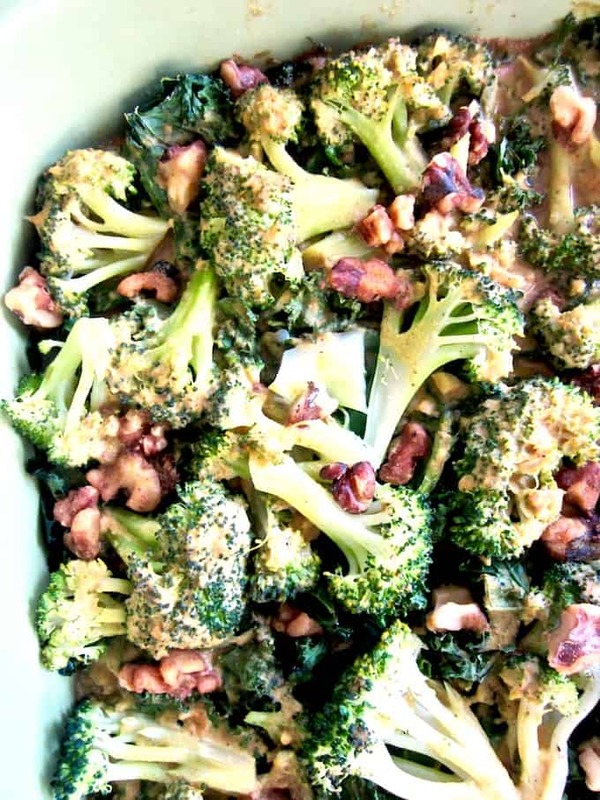 It’s been a rainy few days in Hawaii so this Broccoli, Kale & Rice Casserole is sounding REALLY good right about now! For many of you around the world, I imagine you’re sick of the winter blues and are eagerly awaiting spring. 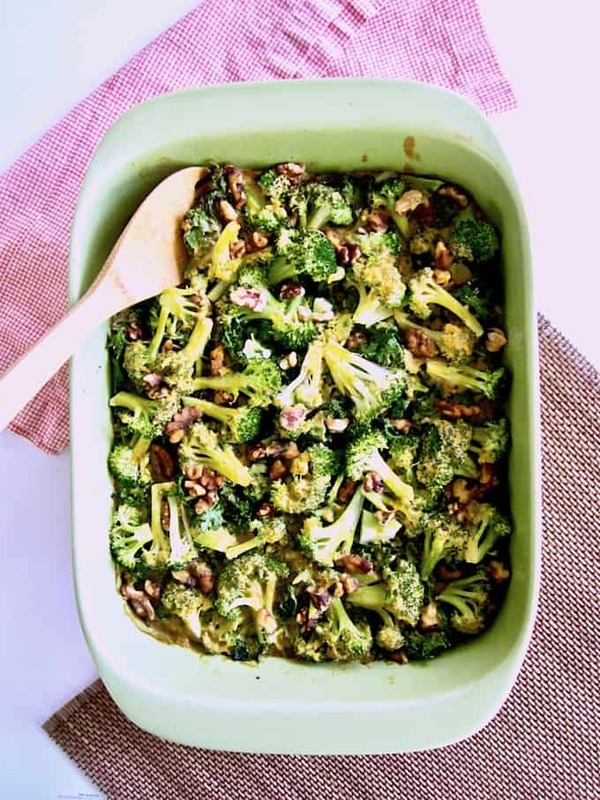 Head over to the kitchen, whip up this casserole and enjoy some healthy, warming food to get you perked up during these last days of winter! A healthy yet hearty dish with plant-based protein that your whole family will enjoy! 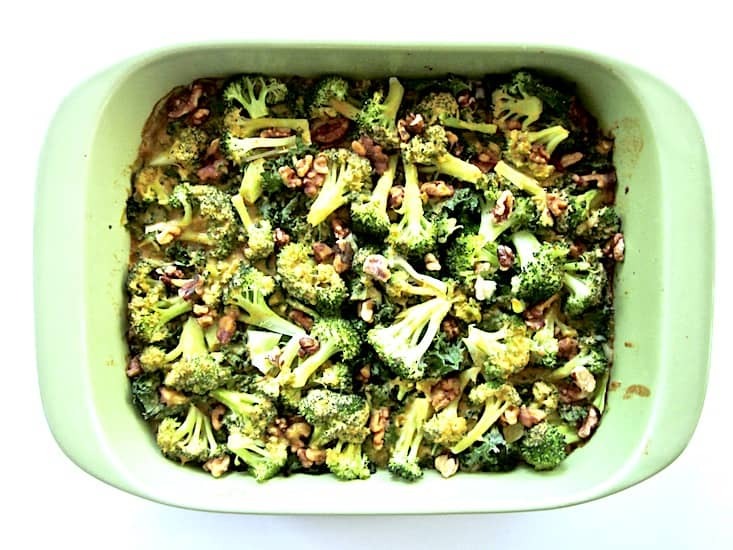 Lightly steam the broccoli for just a few minutes, so it's still crunchy. In a saucepan, warm 2 cups of water over medium heat. Add hummus, salt, tamari, onion powder, turmeric, paprika, black pepper and garlic. Whisk to combine. Lastly, add nutritional yeast and whisk until well mixed. Spray a baking dish with nonstick olive oil spray (or lightly brush with oil of your choice). 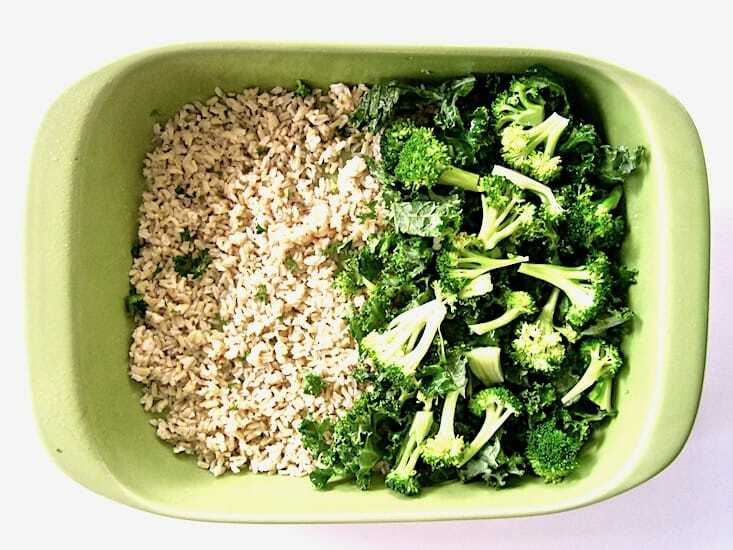 Layer the rice, then broccoli, kale and walnuts. Pour the sauce evenly over the dish. Let sit for 5 minutes to cool. Enjoy! « Versatile Blogger Award Winner 2017 + 7 Random Facts About Me! Mmm. Yummy. I love all the ingredients! Broccoli and kale are my favorite! My favorite casserole growing up was a bacon, cheese and tomato casserole. This looks so yummy!! Love the bright green colors and crunchy walnuts! This may be a good one for Easter dinner! Such a lovely combination of flavors and textures, oh yes - dish me up a big bowl please?!! Ha, you got it Debra! ;) Cheers! I absolutely love casseroles and make them frequently so always looking for ideas. This looks wonderful and I love how you added hummus..Yumm. That is an wonderful sounding casserole! Super healthy! My favorite casserole growing up was Mrs. JFK's Casserole Marie Blanche! OOey Gooey deliciousness! Ooh interesting, I've never heard of that one! But anything ooey gooey is usually a winner in my book. ;) Thanks for stopping by Beth! This looks great! Looks like dinner tonight! I am wondering though, is there anything I can substitute for the nutritional yeast? Can I leave out the tamari sauce altogther? I am not sure what coconut aminos are. Can I find them in a health food store? Recipe looks great. Hey Suzi! I recommend the tamari for flavor but if you're not gluten intolerant then you can substitute soy sauce. Coconut aminos is similar to soy sauce but comes from coconut sap, typically found at healthy food stores, on amazon, at Whole Foods, Trader Joes or Thrive Market online (depending where you live and shop!). If none of these options work then you can try just leaving it out. Let me know how it goes! What side did you make to go with this dish? Hi Haley - I made a salad, because I love salads and eat them all the time. 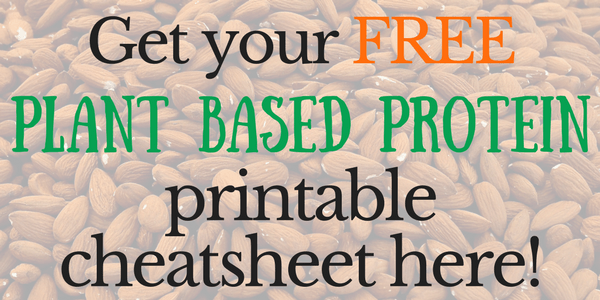 :) Some tofu or tempeh with it would be really yummy and give you some extra protein too! I made this casserole tonight and it is delicious! However, I am the only one eating it and since this makes such a large amount, I was wondering how it would be best stored. How long does this last in the fridge? Also, can it be frozen? Thank you! I just made this and it is quite yummy. I didn't have enough nutritional yeast so threw in some parmesan. Taste is great though and very healthy tasting. Makes me want to try more plant-based dishes - minus parmesan, course. Do you think this would freeze well? I made this today--it's so tasty and comforting--thanks!